BrokerSumo and QuickBooks are integrated letting you sync your agent billing date and commission disbursement data to QuickBooks to track your brokerage income and agent expenses. All online and desktop versions of QuickBooks, except for QuickBooks Self-Employed, can be integrated with BrokerSumo. To add the integration go to Settings > Integrations and click the Add QuickBooks button. If you've chosen to integrate QuickBooks Online, you'll be taken to a login page where you'll enter your credentials for QuickBooks Online and authenticate the connection. 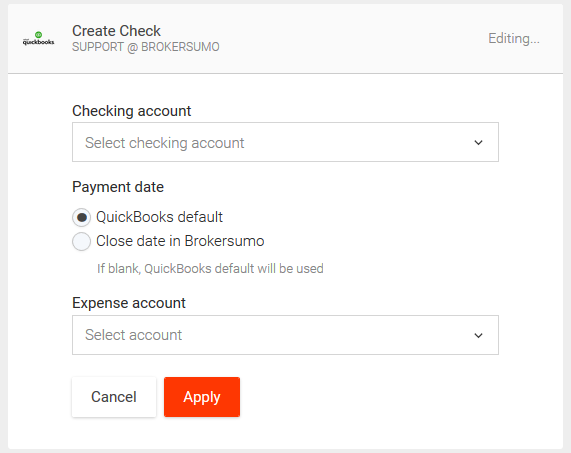 If you are integrating QuickBooks Desktop you'll be taken to an page with instructions on how to set up your connection with BrokerSumo. Next, you'll be taken to a setup page where you see a group of workflows. These workflows allow you to map your data from BrokerSumo into QuickBooks based on your accounting preferences. You'll want to select one workflow for brokerage income and one for agent expenses. 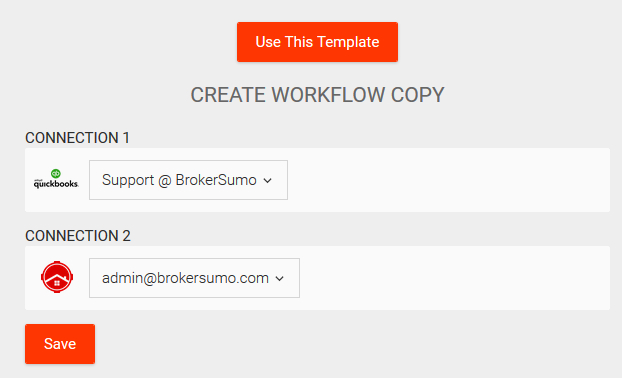 If you are using the agent billing feature in BrokerSumo you can set up the agent billing workflow as well. To setup a workflow click the name of the workflow. On the next page, click the Use This Template button and confirm your connections are correct. Click Save to proceed to the next step. On the next page you'll see some options for setting up your workflow. These will vary depending on the specific workflow you're setting up. Once you've made your selections click Apply, then scroll to the top and click the Run button. Your workflow is setup. You'll want to repeat this process for each of your workflows. Make sure you only set up one workflow for brokerage income and agent expenses. If you set up more than one workflow you will be syncing over duplicate data when you sync your transactions. Now go back to BrokerSumo. To sync agent billing invoices, click into the Billing Log of an agent's profile. You can click the Sync button to create a new invoice in QuickBooks for this item. If your item is unpaid a new unpaid invoice will be created in QuickBooks. If you then mark your invoice as paid in BrokerSumo and re-sync, it will update the existing invoice to paid. Or you can sync a paid invoice and a paid invoice will be created in QuickBooks. 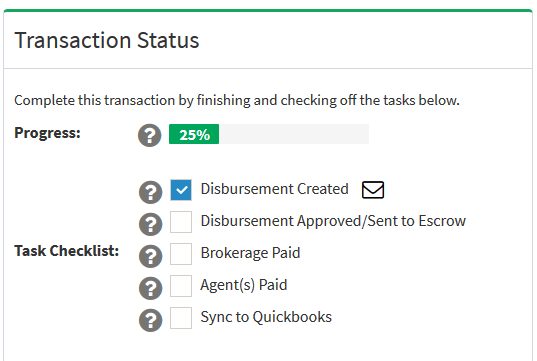 To sync commission disbursement data, go to a transaction, and you'll see a Sync to QuickBooks button. You can sync your commission disbursement data anytime after you've created your commission disbursement. If you sync to QuickBooks and then have to make changes to your disbursement in BrokerSumo, don't delete the entries in QuickBooks. Make the changes in BrokerSumo and re-sync to QuickBooks and the existing entries in QuickBooks will be updated. There is also two Auto-Sync options. Go to Settings > Permissions and scroll to the bottom where you'll see two options.